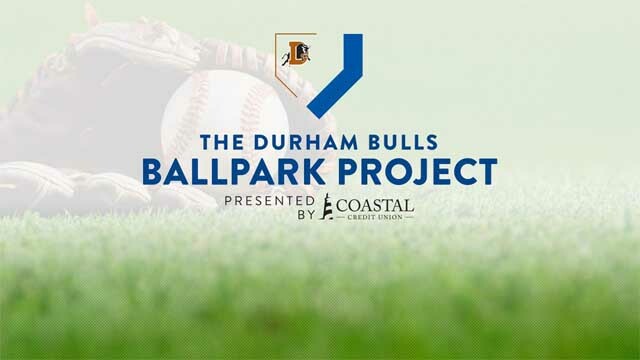 Four organizations have been chosen as the inaugural winners of the Durham Bulls Ballpark Project presented by Coastal Credit Union. Person High School, Bull City Little League, Durham Softball and Hillsborough Youth Athletic Association have each earned a $10,000 donation for facility renovations. Person High School will have renovations made to both its baseball and softball fields, and Bull City Little League will see an improvement to its facility which houses three fields. The Durham Softball facility will have an overhaul for the first time since it was built, and Hillsborough Youth Athletic League will see renovations for its over 500 children who participate in its leagues each year. Each facility will be renovated in the coming months, with a list of priorities submitted by each location. Additionally, representatives from each organization will be honored on-field at Durham Bulls Athletic Park on Tuesday, August 7. I am super excited about what this means for our league and our future in Durham sports. I want to thank all the players for believing in the concept and making this amazing league possible. To celebrate, get your Durham Bulls tickets for Tuesday, August 7 through this link! The Bulls and Columbus Clippers will play a doubleheader (two 7-inning games) starting at 6:05pm. As if $2 Taco Tuesday wasn’t enough motivation to attend, we get to accept the $10,000 check for our league on the field in-between the two games! Special tickets are discounted down to just $8.99 and two sections of tickets have been reserved for all winners! Represent our league and wear your Durham Softball shirt, if you can. I’ll make a cool, custom Durham Softball keychain for anyone who wears their Durham Softball jersey and tags our league in a Facebook post on your personal timeline or on our page’s timeline. Show off your Durham Softball pride and help support the other three deserving winners during the ceremony in-between games of the double header! I hope to see you there!